Can’t help myself, I’ve got Flowering Tree Fever™ again this year. A major symptom is a compulsion to find and photograph fine specimens in attractive settings. This afternoon was typical: some dogwoods on the golf course across the street caught my eye, and I headed over there with my camera at the ready. 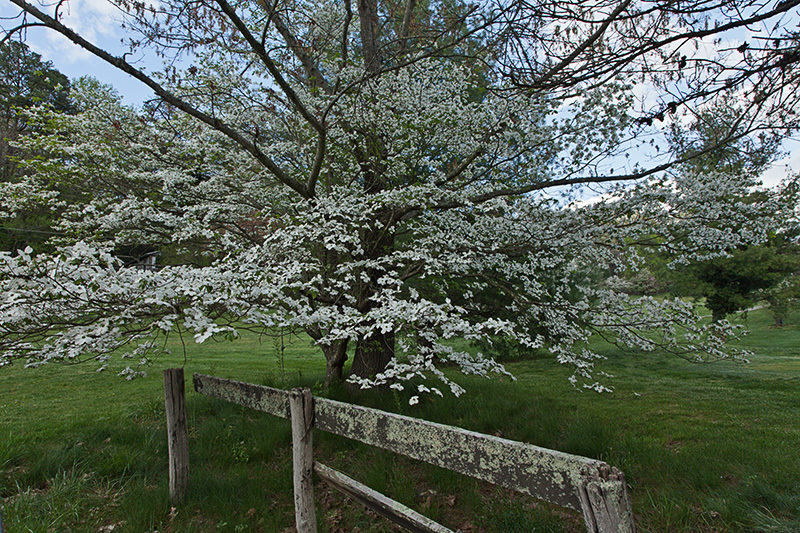 Spent the next 30 minutes taking pictures of a dogwood and another spectacular bloomer with white flowers (fifth image). I love how the horizontal branches, covered with bracts and flowers, reach out across the fence. 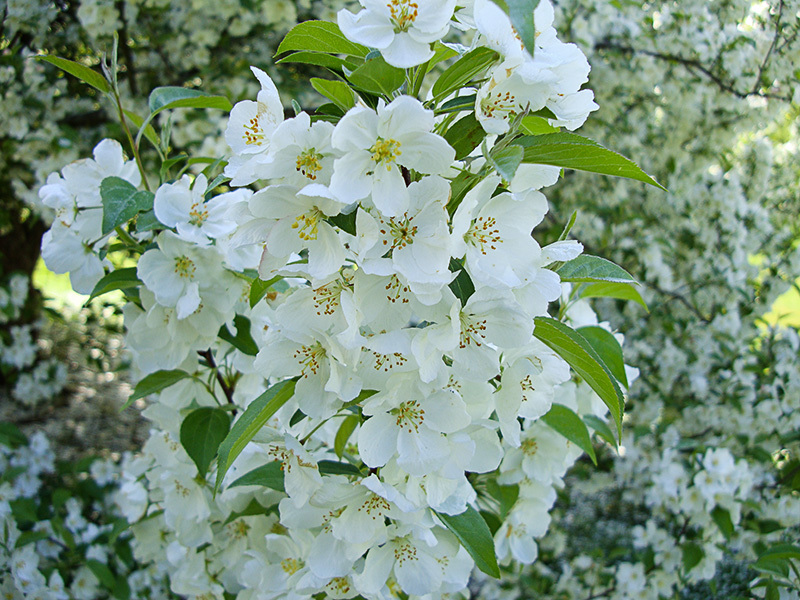 Speaking of dogwoods, the white bracts surrounding the flowers will be gone in a few days. . . . That’s right, I said bracts, which are not flower petals but modified leaves. The flower is the little cluster in the center of the four bracts. The indentation at the tip of each bract is characteristic. 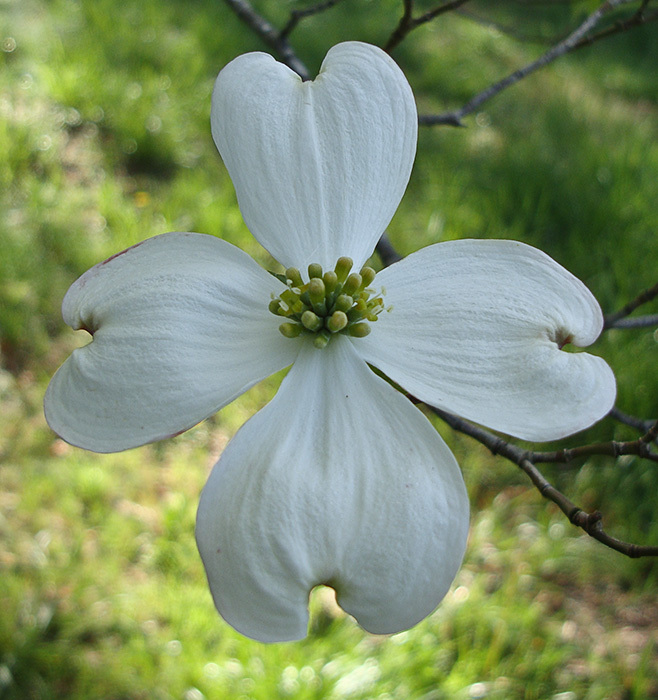 Another fact about dogwoods you may not know is that they’re the State Flower of North Carolina (also Virginia). And dogwoods are also prized for their beautiful fall foliage. 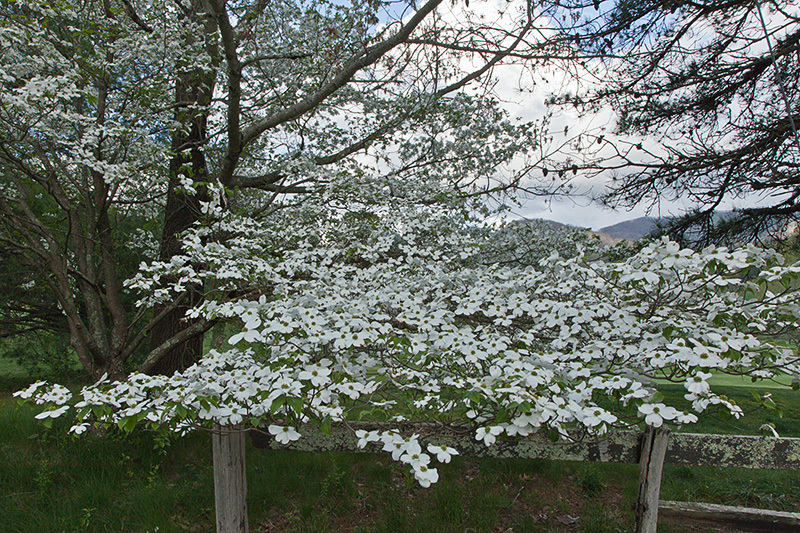 The dogwood blossoms will disappear in a few days — many already have. Then I can look forward to the blossoming of the Kousa Dogwoods (aka Chinese dogwood, Japanese dogwood, and Oriental dogwood). 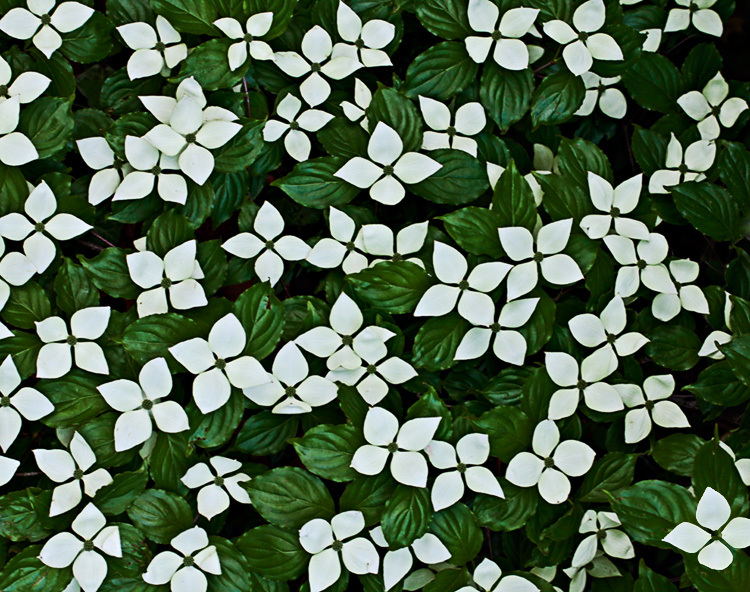 The following picture is a detail from a Kousa dogwood in the front yard of our previous home in Canton, NC. 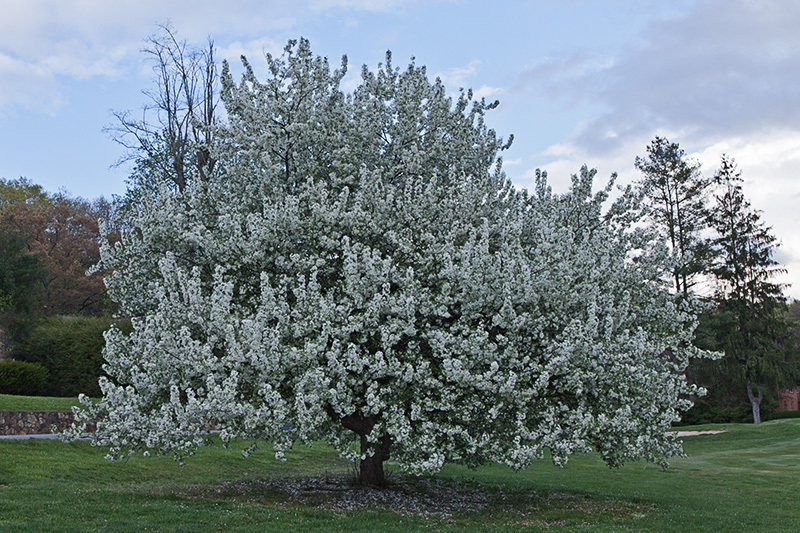 Below is probably the lushest blooming tree I’ve seen this year. It is also on the golf course, which everyone around here calls The Waynesville Country Club. It’s proper name is The Waynesville Inn Golf Resort and Spa. Quite a place. Here’s a closeup of the flowers on this tree in case anyone out there can help me with the identification. Thanks in advance.